The Rockford Girls Swim and Dive team was back in action October 11th at East Kentwood High School. 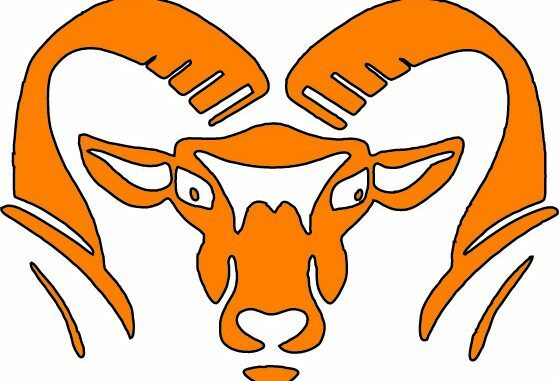 Despite technical difficulties plaguing the timing and scoring system, the Rams dominated the evening with a show of depth and talent across the board. Rockford set the pace for the entire meet with a pool length victory in the 200 Medley Relay with the team of M Kraus, Folcik, Gamm and Lund. The Lady Rams swept the 200 Freestyle with a 1-2-3-4 finish by S Kraus, Geers, Bargwell and Newland. Gamm and S Foster went 1 – 2 in the 200 IM, followed by a win by M Kraus in the 50 Freestyle. In diving, Elise Jendritz continued her outstanding senior year by winning the 1 Meter Diving. Axtman(3), Laufersky (5) and Clauser(6) also placed well. Ram Junior S Kraus won the 100 Fly followed by Geers in 2nd. Rockford swept the top four places in the 100 freestyle with Gamm, Glover, Ten Eyck and Hastings. Newland won the 500 Free in a season best time and the Rams then went 1-2-3 in the 200 Freestyle relay. Folcik and Lund went 1-2 in the 100 backstroke, followed by M Kraus, S Foster and Davis taking first, second and third in the 100 Breaststroke. Rockford closed out the meet with a victory in the 400 Freestyle relay. The Rams won the meet 202 to 104. 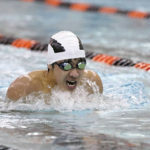 Following the success at East Kentwood, the team sent a number of swimmers to the annual MISCA meet at Eastern Michigan University. 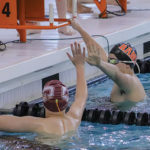 Teams were represented from 79 high schools across Michigan – and all swimmers were required to meet specific qualifying times in order to enter. The Lady Rams qualified 11 swimmers to attend the weekend tournament (Beers, Folcik, Foster, Gamm, Geers, Harmsen, M Kraus, S Kraus, Lund, Newland, Tow). Rockford set the pace at the first event, the 200 Medley Relay, by not only placing first, but the team of S Kraus, Folcik, M Kraus and Lund established a new meet record! Outstanding swims were had by all who attended – many picking up their state meet qualification cuts or improving on ones they already had. No scores were kept for this meet ranking the competition, but Rockford was clearly one of the top teams attending. Head Coach Sara Tow had this to say about Rockford’s performance at the meet, “Setting the meet record in the medley relay set the tone for the entire meet. The girls continued to step up and accomplished many best times and a few new state cuts. I’m very proud of their performance and how they enjoyed the experience together as a team.” The final dual meet of the Rams fall season is Thursday October 18th at Hudsonville. Go Rams!